Kodaiji is one of Kyoto’s best temples, established in 1606 by Kita-no-Mandokoro in memory of her late husband, the feudal lord Toyotomi Hideyoshi. Kita-no-Mandokoro’s nickname was ‘Nene’, and the cobblestone street lined with traditional shops and restaurants that runs just below the temple bears her name ‘Nene-no-michi’ (Nene’s street). Kodaiji is open daily from 9:00 – 17:30, with last entry at 17:00. 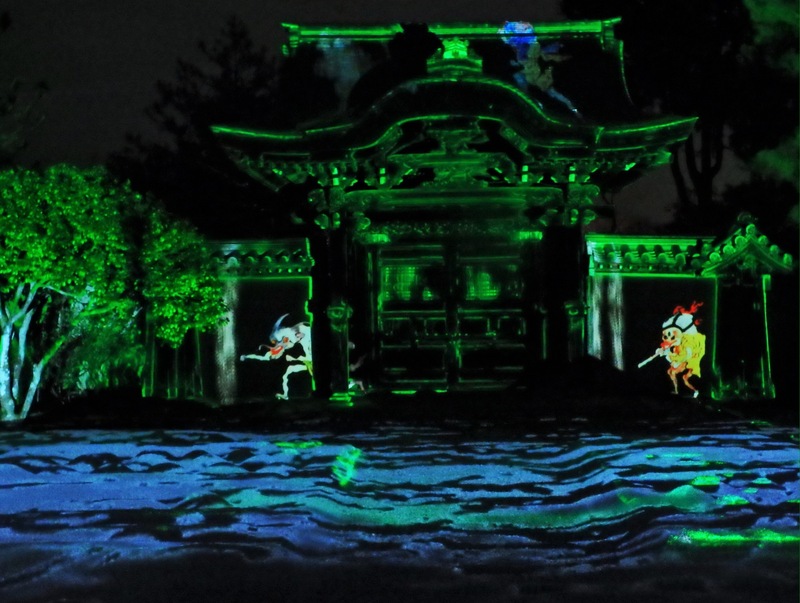 However, three times a year, the temple grounds re-open from just after sunset to 9:30pm for special illuminations. The entry fee is 600 yen, but see below regarding a special package deal. 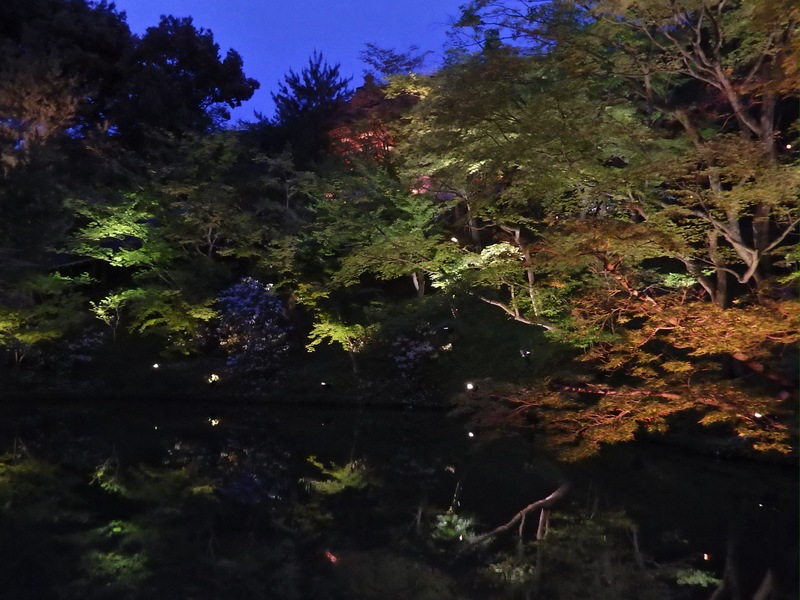 In the evening, the grounds are lit (including a bamboo forest) and an amazing laser light show takes place over one of the rock gardens and on a large, traditional gate. Even with weekend crowds, it is ‘otherworldly’ and well worth seeing. To watch the light show, visitors sit on a the balcony of one of the temple’s main buildings. There is a short ‘show’, which repeats itself throughout the evening. I usually sit and watch it 3 times, the show is that good! It is also nice to visit Kodaiji’s tea house to enjoy some matcha and a Japanese sweet. Most visitors are so busy wandering around that the tea house is a wonderful & quiet oasis within the grounds. I highly recommend that you purchase the 900 yen ‘trio package’ entry to Kodaiji, Entokuin, and the Kodaiji Sho Museum. Entokuin is a sub-temple of Kodaiji, and ‘Nene’ spent her later years there. 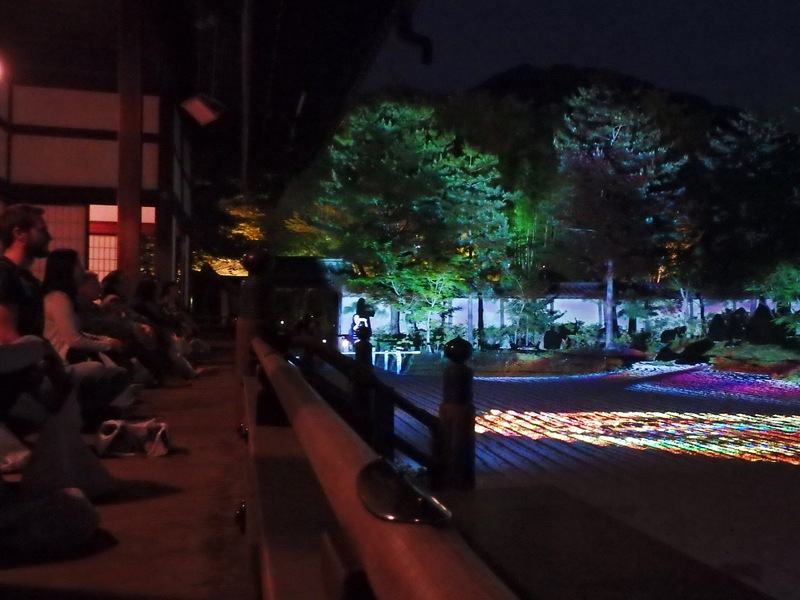 It is usually illuminated at the same time as Kodaiji and is located just across the street. The Kodaiji Sho Museum is very small, but all displays are bilingual. The pieces themselves are very impressive. Hungry? Just beside the Kodaiji Sho Museum, on the 2nd floor, is a fantastic little restaurant called Hashiba that specializes in serving yuba (tofu ‘skin’). 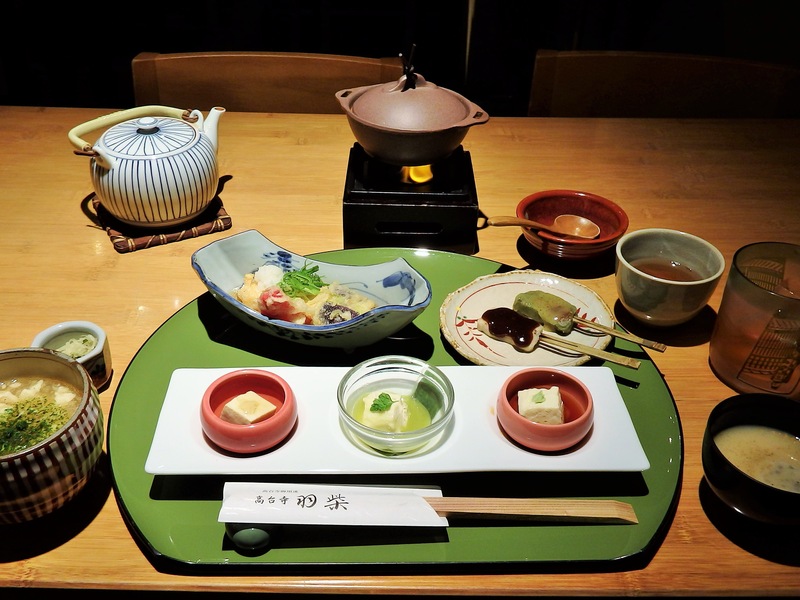 They have amazing set dinners starting at only 2160 yen. The staff is very friendly and they have an English menu with good descriptions. I love this place!